U.S Federal Reserve (FED) interest rate decision & impact on South Africa. The U.S. Federal Reserve's Federal Open Market Committee (FOMC) will announce whether the interest rates in the U.S. will increase or remain unchanged tonight at 20:00 South African time. Everything you need to know ahead of the FED decision is deatialed below with accompanying charts put together by Trade Specialist Barry Dumas on the GT247.com Trading Desk. The consensus in the market is that the FOMC will increase interest rates by 25 basis points (0.25%). An additional increase in U.S. interest rates is expected before the end of the year if market conditions allow. The Federal Open Market Committee (FOMC) statement is used to communicate with investors about monetary policy. It also contains the outcome on the vote on interest rates and will be released at 20:00 South African time. Following the statement, the FOMC will have a press conference around 20:30 South African time and this is where the economic outlook will be discussed and most importantly clues on future rate decisions. The decision will be watched closely by market participants as an increase in the U.S. interest rate might have a positive effect on the Dollar (USD). 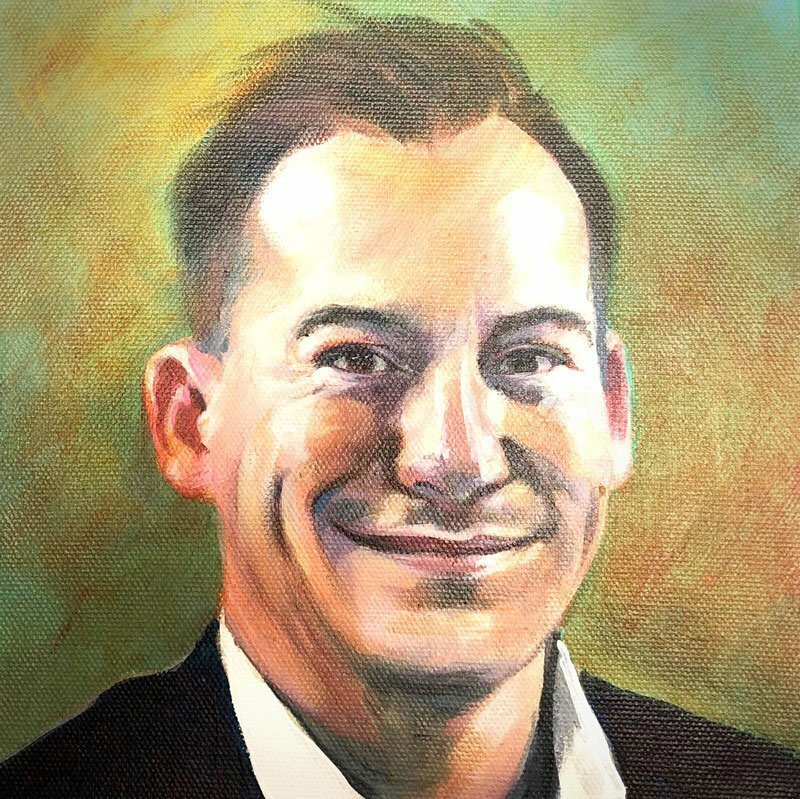 Dollar (USD) strength will put pressure on Emerging Market Currencies so we can expect the Rand (ZAR) to depreciate if the Dollar (USD) remains in favour. As a result, coupled with a higher oil price we can expect an overall price increase in Retail goods and services (Financial) filtering through to the S.A consumer. It is anticipated that the domestic consumer will remain under immense pressure in the medium term. The USD/ZAR currency pair has been trading in a wide range between R 12.19 and R 12.78 over the last month. 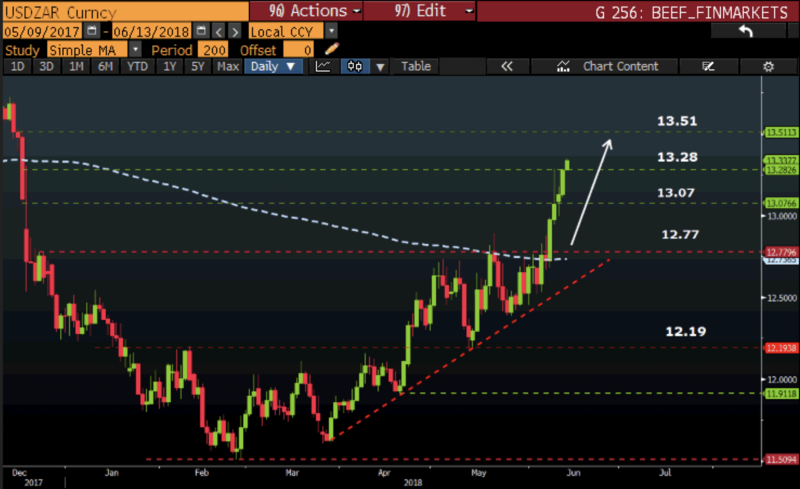 We saw further weakness come through over the last couple of trading sessions where the dollar found resistance around R 13.28 well above the 200-day simple moving average. 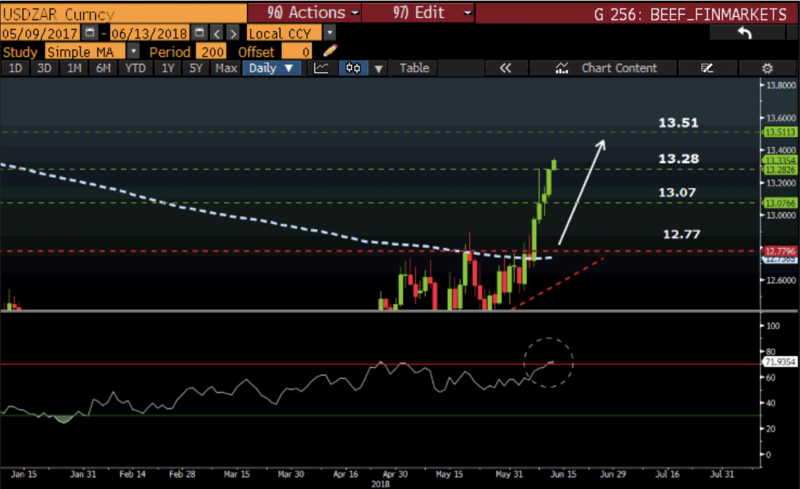 We might see the Rand (ZAR) weaken even further beyond the R 13.28 price level to a new target price of R 13.51 if we see Dollar (USD) strength come through. Taking a closer look at the indicators we can also see the Relative Strength Index (RSI) approaching the overbought level which might signal that the price action can move lower. The RSI gives a good indication of when price action might turn around but the price can remain overbought for some time to come. Want to trade the USD/ZAR currency pair? You will need to register a USD trading account with GT247.com. 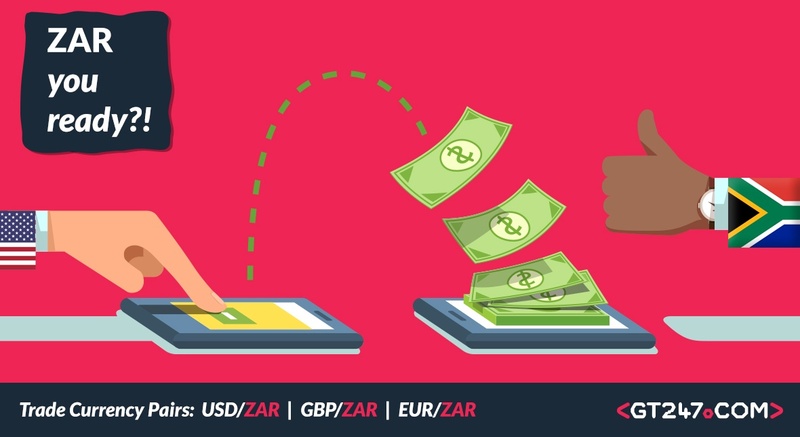 Your USD account can then be added to your MetaTrader5 platform trading account alongside your ZAR account.